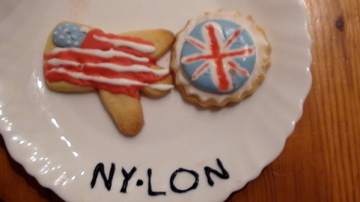 Mommy and Daddy thought it would be a nice idea for all of my Northern Ireland-based aunts and uncles to get together last night to have special dinner and to make cookies. There was lots of laughing and a “decent but not ridiculous” amount of sugar was consumed. I (and therefore Mommy) got a real kick out of it all. 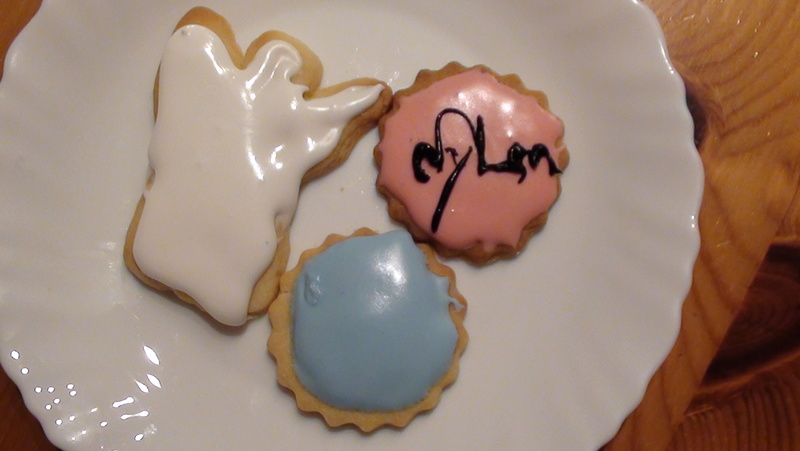 There were lots of different cookies made and Mommy and Daddy made some special ones just for me. I don’t think they’ll be able to keep them until I can have them, but they sure look good enough to eat!